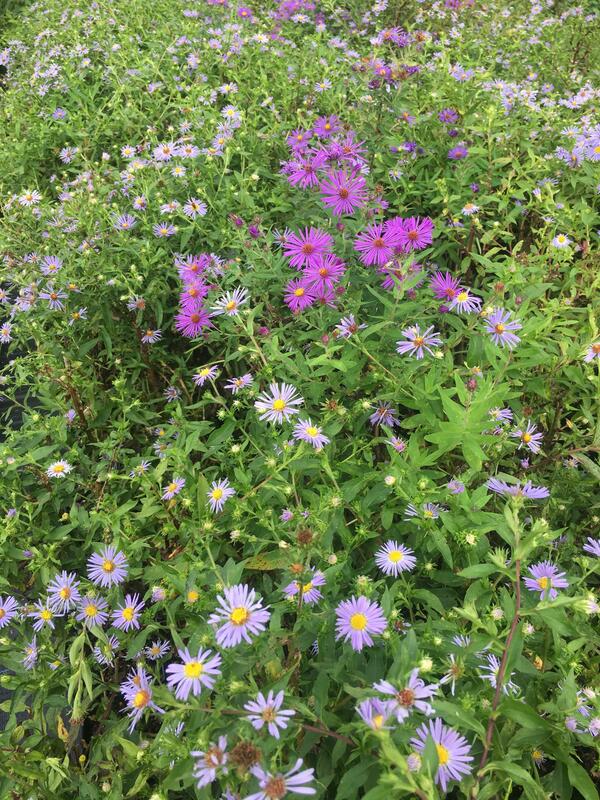 Sturdy clump forming Aster grows from underground rhizomes. Reddish purple stems that branch along their upper third. Lavender/ blue to purple flowers in August into October. Native soil stabilizer for moist areas.